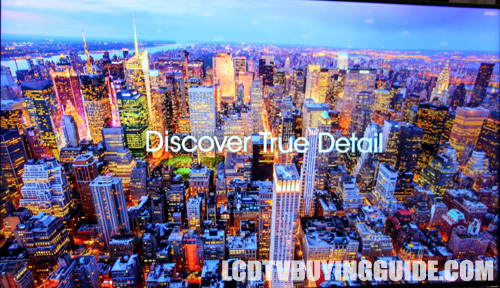 As expected the advantages to OLED TVs in general are pronounced on the AF8. 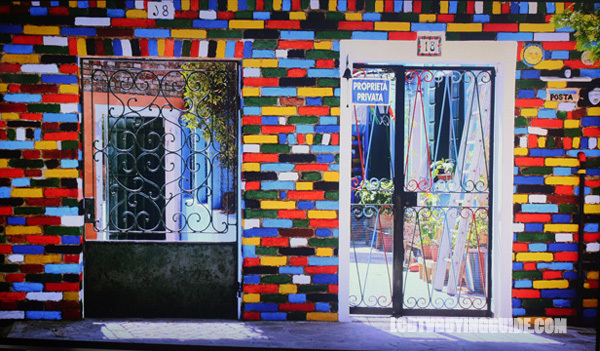 The contrast is exceptional, as is black uniformity and color reproduction. 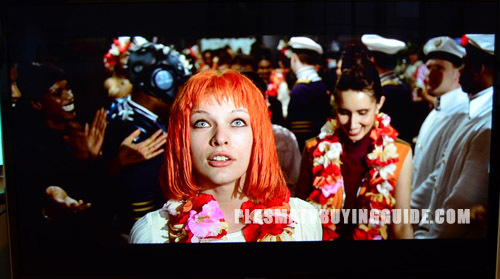 The only area that the A8F does not exceed a high end 4K LED is in bright room performance due to its average brightness not being quite as high. 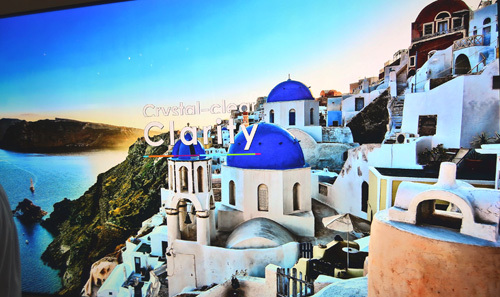 The QLED series from Samsung builds on the Premium UHD line up series by adding a wider color gamut via Quantum Dot film. 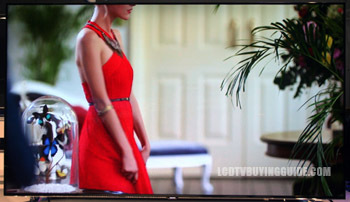 It has excellent black levels as an Ultra Black Elite panel and will capture the intended increased brightness and color of HDR content with considerable accuracy. 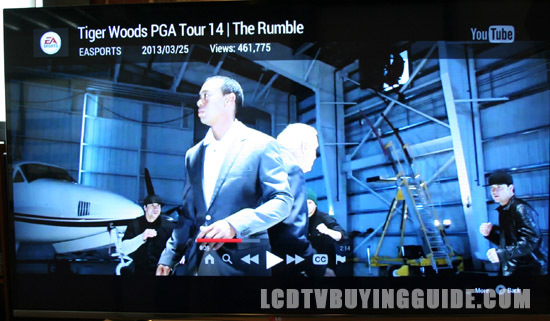 The NU7100 4K LED TV from Samsung is one of the best priced 4K offerings in the marketplace. 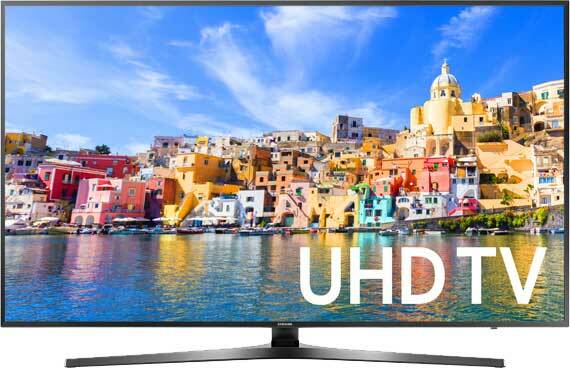 It falls under the QLED line and the NU8000 line in Samsung's 2018 lineup. 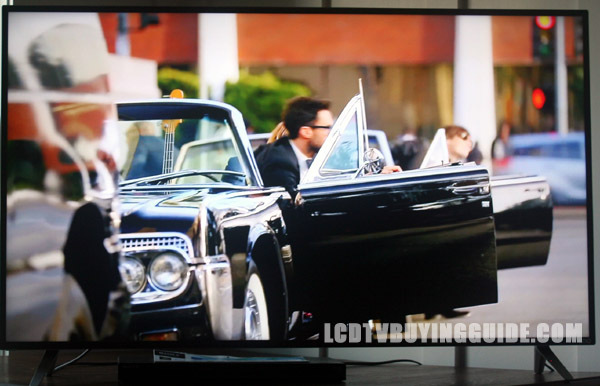 It has ample features like Smart TV and remote control, UHD Picture Dimming, HDR 10+, 4K Color Drive, HEVC 4K streaming decoding, and a contrast enhancer. 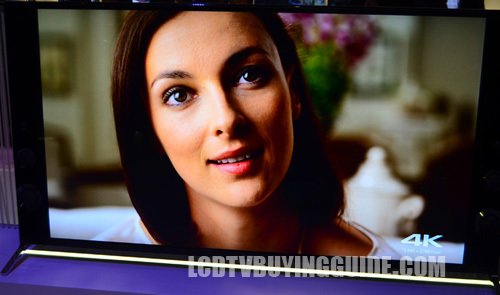 Though the 7100 has 4K UHD resolution and has an extremely attractive price. 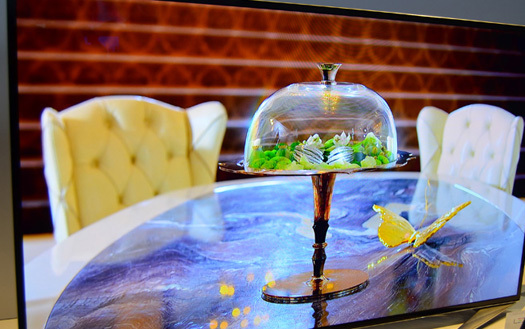 Through the gloss screen finish with excellent anti-reflective qualities the A1E produces an awesome OLED TV picture quality that is unrivaled by 4K LED TVs at the moment. 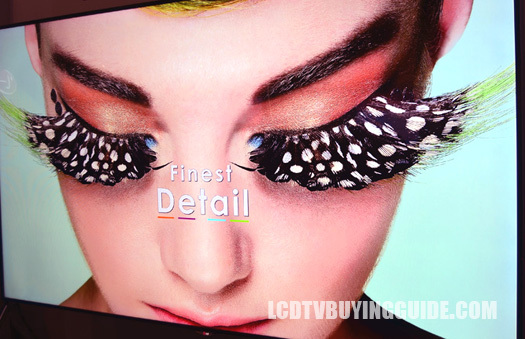 Though the OLED panel is manufactured by LG, Sony's processing chip sets and design are all Sony, and therefore make the A1E a bit different from their competitor. 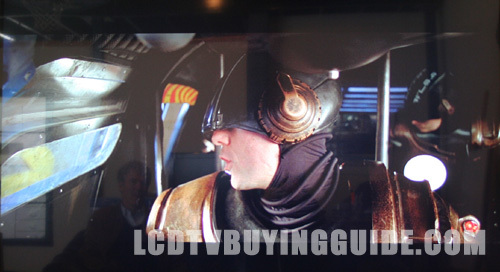 This new model has superb up-scaling and conversion of standard definition, HD, DVD, and BluRay incoming content. 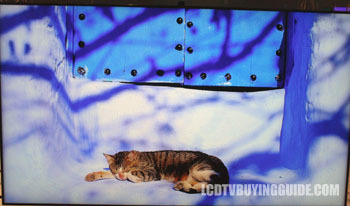 Sony's new advanced (video) noise reduction gives their newer models an excellent smooth quality. 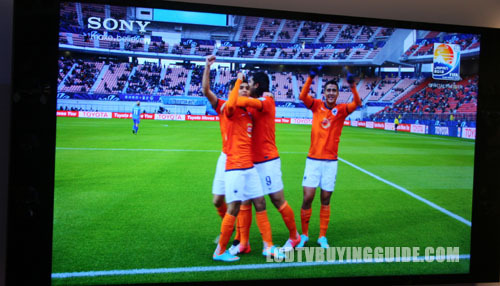 Sony's up-conversion technology is creating a 4K-like picture with normal everyday resolution signals. 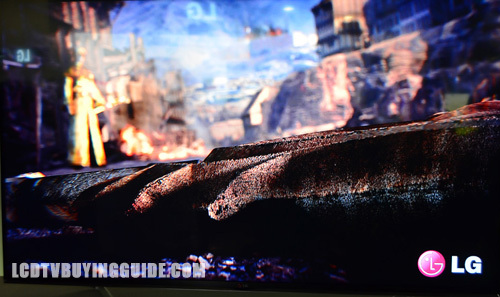 This is a great strategy and Sony is able to show off their superior processing. 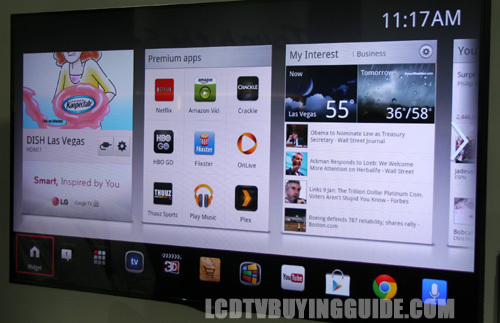 The MU9000 is really about the best Samsung has to offer for the year. Compared to the MU8000 below it, it has a wider color gamut, better anti-screen glare properties, and the Triple Black Extreme feature. 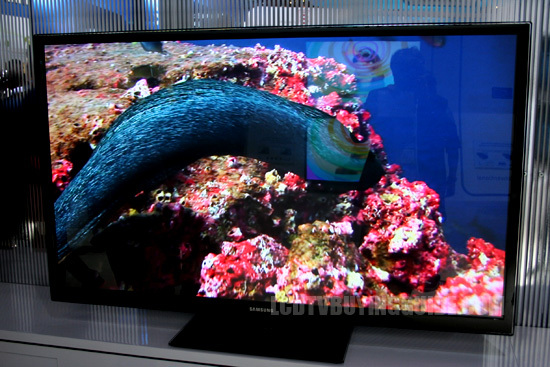 The MU8000 already has outstanding black levels and black uniformity. 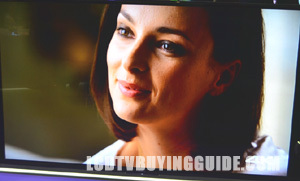 The main improvement the MU9000 has in the blacks area is better viewing of dark shadow detail. Other than those picture quality upgrades, they are almost identical. 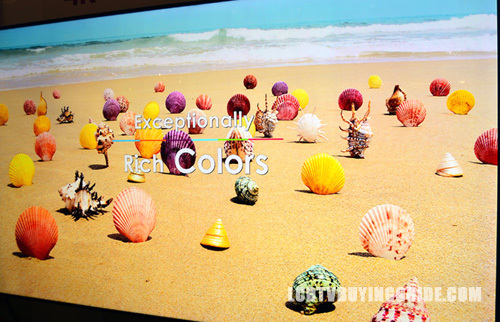 The QLED series from Samsung builds on the Premium UHD line MU9000 series by adding a wider color gamut via Quantum Dot film. 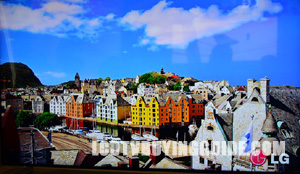 It has excellent black levels and contrast and will capture the intended increased brightness and color of HDR content. 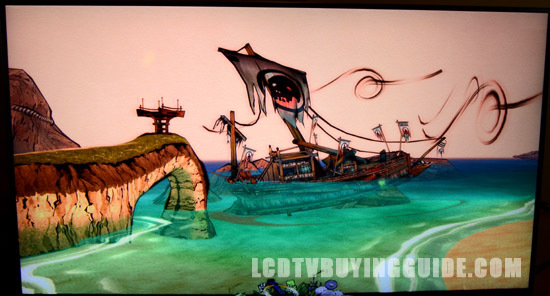 The review covers both the flat and curved versions, which are identical except for the curved screen. 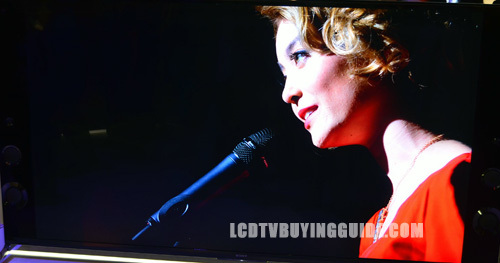 The UJ7700 is really the entry model into the high end of the LED-LCD TVs offered by LG and a very good value. 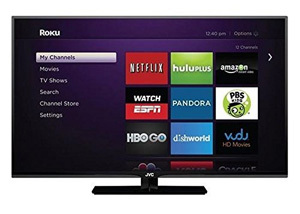 You get most of the best features including the new Web OS3.5 system, 4K, a wide color gamut, and the magic remote. This is your ultimate value model for the year. Very inexpensive. 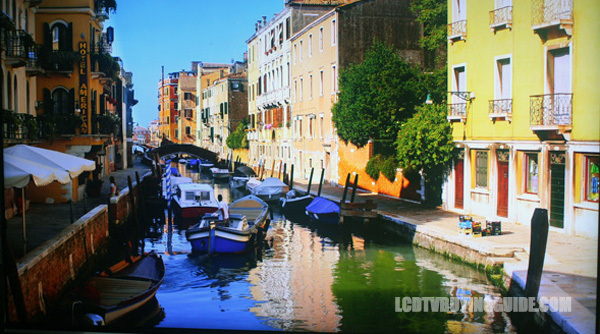 I can�t honestly say that the picture quality on the 4K UHD version of the TCL Roku TV looks appreciably better than the 1080p version. 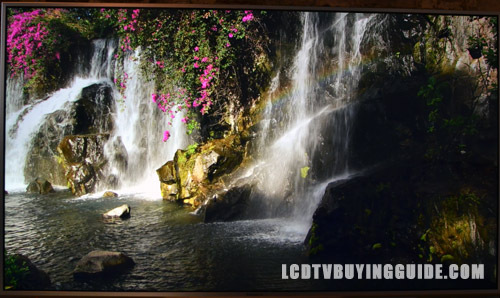 Black levels and contrast surprised to the upside, while there is noticeable screen glare or reflection at times due to the panel not being extremely bright and also due to the TCL panel not having the highest end light absorption features. 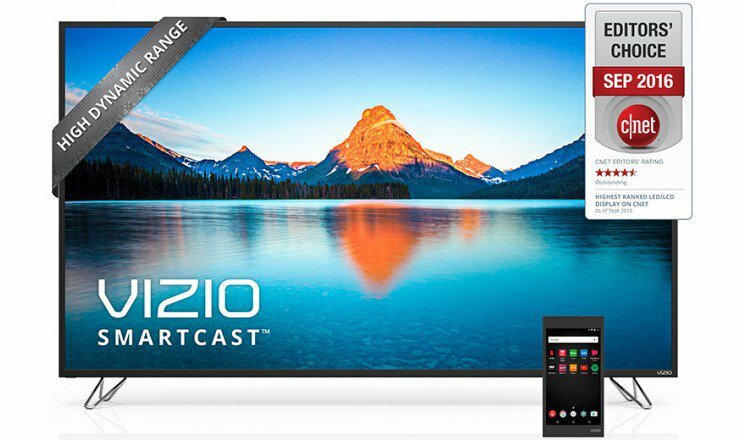 The Vizio 2016/2017 M-series is a value oriented HDR 4K LED TV that we were eagerly awaiting. 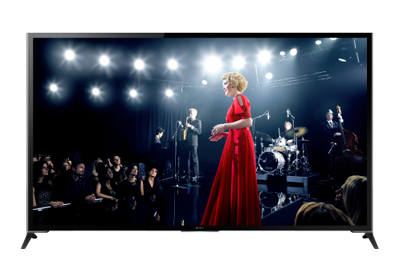 The M-series has 64 active zones of full array backlighting compared to the 32 last year 64 on the P-series 4K Vizio. 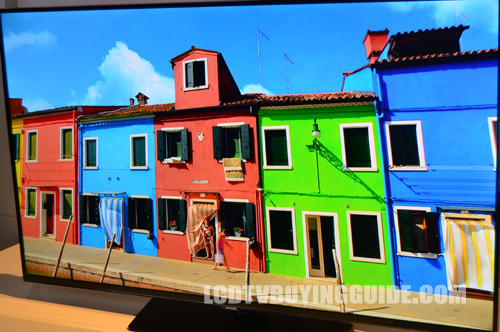 The K6250 is one of the only 1080p TVs Samsung is producing for the year. 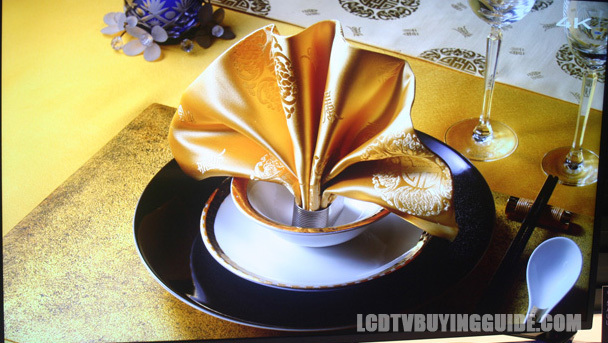 It keeps the costs down and provides a unique look with a curved screen with silver frame and stand. Sony is only producing a few models for the year but this is a good one. 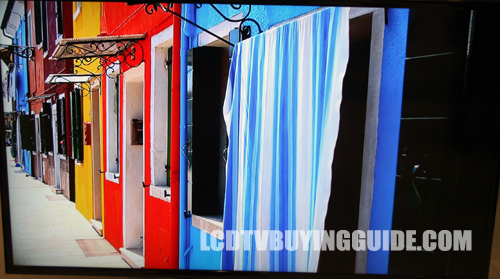 How does the Sony X930C compare with an LG 4K OLED TV? 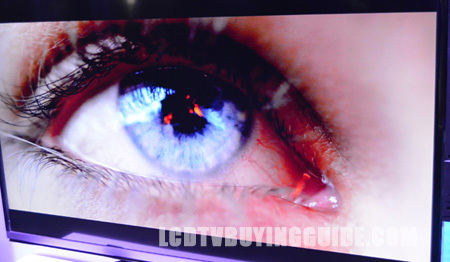 We love OLED technology, so for a 4K UHD signal we give the edge to the LG OLED. 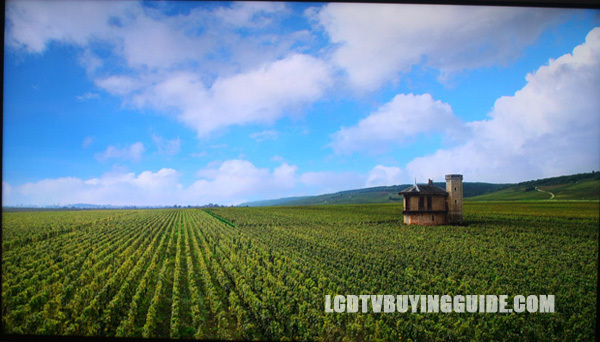 But we believe Sony has the best processing and outer panel of the 4K TVs, so for 1080p and lower signals we believe this TV outperforms the LG 4K OLED. 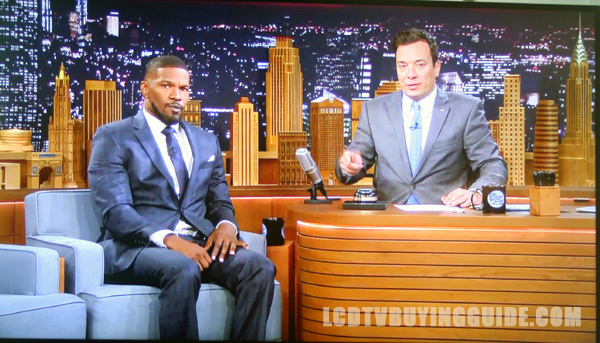 Color saturation and contrast do fade when viewing from off center though much more subtly than I expected. In fact, the untrained eye will likely not see much difference in contrast saturation until around 15 degrees off center. 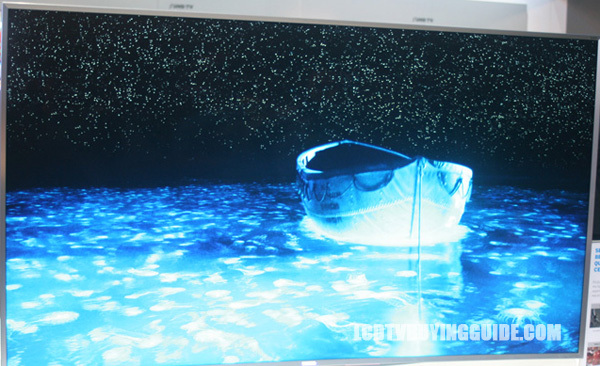 Early models of the 4K TVs from Samsung did not look this good from the side and were more in line with standard HD LED TVs. 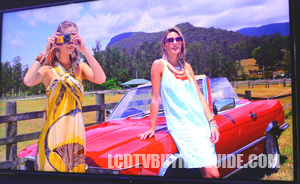 There are few differences between the LG B6, C6, and E6 models. 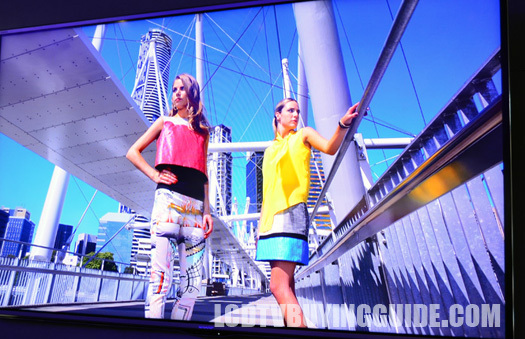 The E6 and C6 have 3D capability. 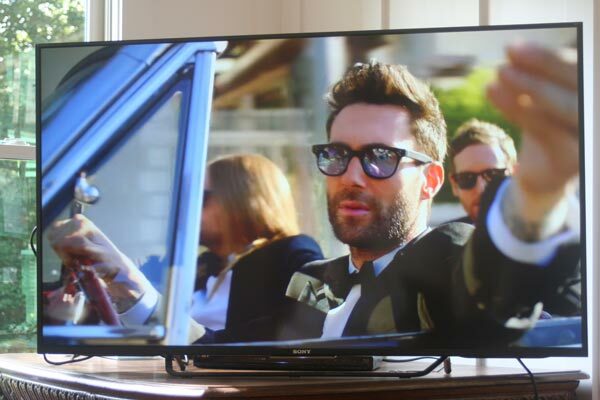 All have 40W Harmon Kardon speakers but the B6 and C6 have 4 channel audio. 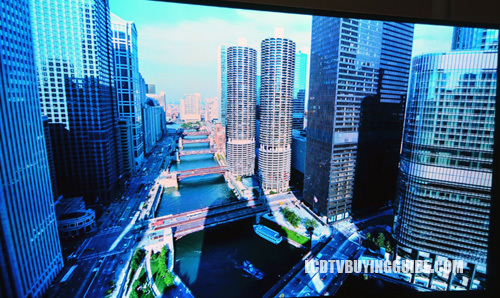 B6 is the thinnest TV at 1.9� depth while the C6 is curved and the E6 is 2.2�. 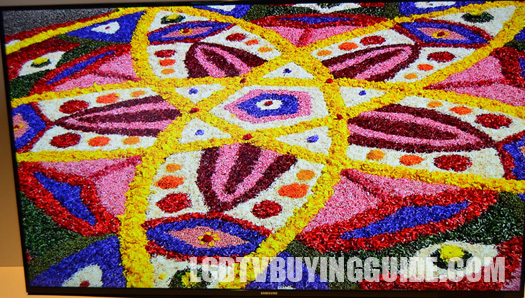 Other than that, they are pretty much the same � even in price. 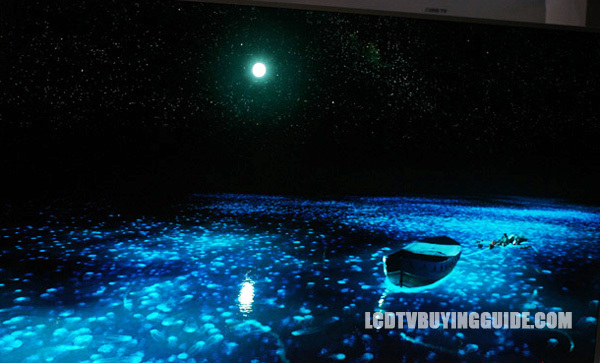 Only Sony and Samsung's very best, top of the line 4K full local dimming models can come close to matching these new OLED TVs. 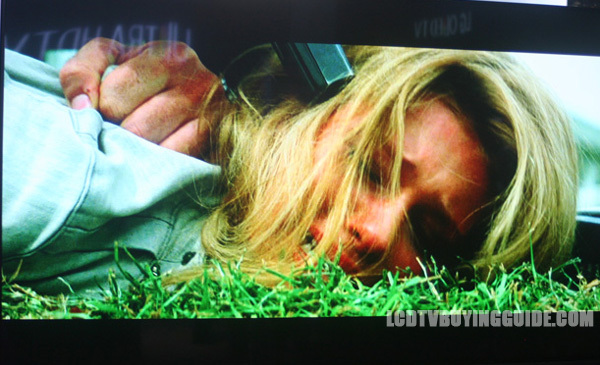 Video processing and conversion is one of the drawbacks to picture quality, really the only drawback. There are motion artifacts present depending on the signal source and strength (if streaming). 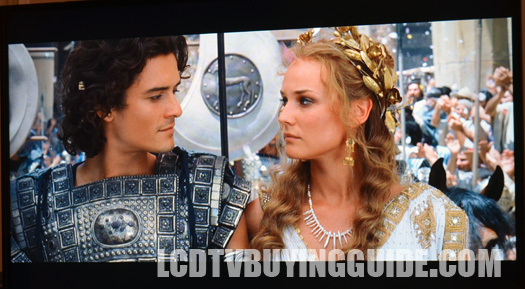 This is the one clear advantage to LED/LCD TVs in my mind; the best ones do smooth out images better than OLED TVs. 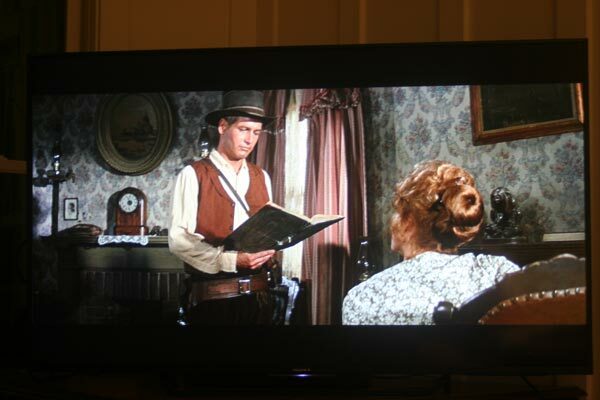 It must be more difficult for the OLED technology to process images more similar to plasma TVs in this regard. 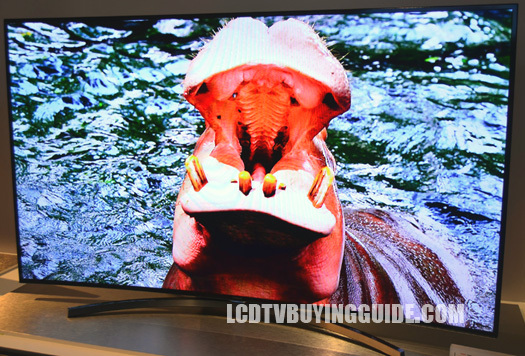 We compare three of the best value 4K TV alternatives for the year with a thorough 15 point comparison. 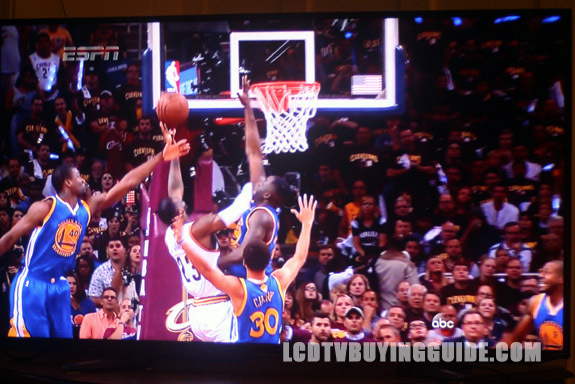 We've compiled a list of what we think are the most important differentiating factors in testing the quality of these 2015/2016 4K UHD TVs and performed the shootout based on our findings through some very thorough investigation. 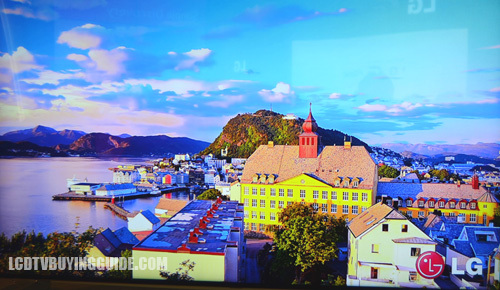 With a picture quality score of 92/100, this is a very impressive 4K TV option with Samsung's new Tizen OS Smart TV system. 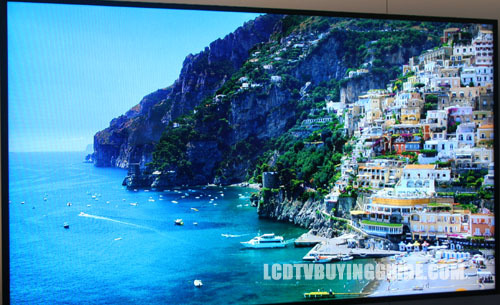 Whether you really believe in 4K UHD or not, the best picture quality features are now only found on 4K TVs. 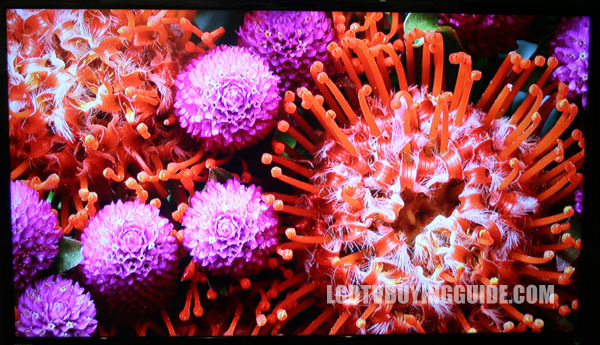 The SUHD JS7000 has more vibrant colors, light flow-through and perhaps slightly more artifacts and uniformity issues and lower contrast than the top UHD TVs such as the JU7100. 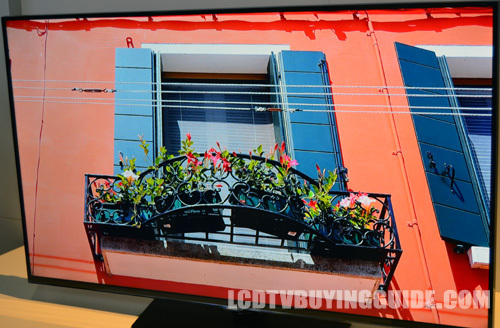 It's a similar type of picture except side angle viewing is much better due to the IPS panel. 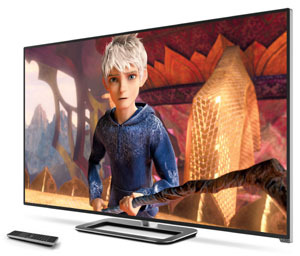 The X850C is one of our highest rated TVs for 2015. 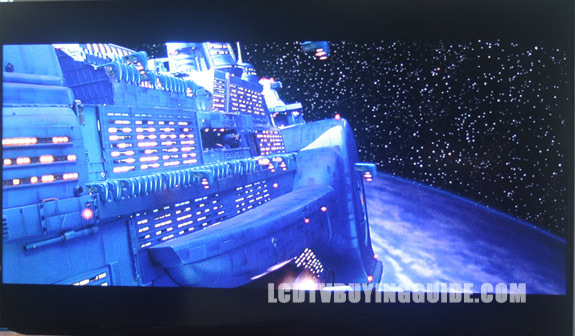 The wide-gamut color technology has been fantastic for Sony for a couple years. 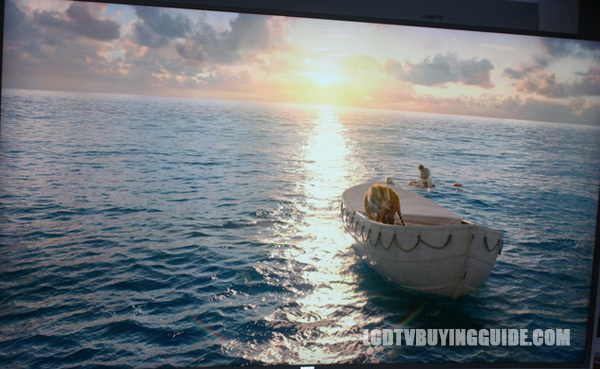 It produces much more realism and true-to-life color renditions than most of Sony's competitors. 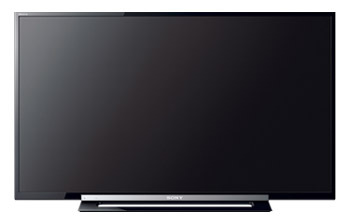 Sony XBR-49X830C 4K TV 49"
The X830C is very similar to the X850C that received our highest rating. 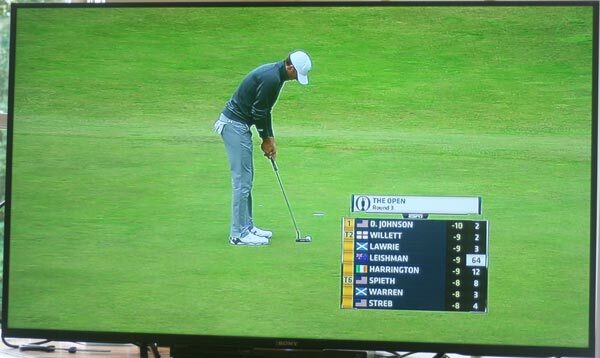 the new 4K Processor X1 is the most important feature to improve HD signals. 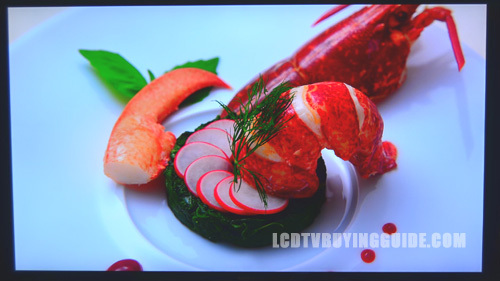 Despite the lack of the Triluminous technology, colors on the X830C are very realistic and have plenty of punch. 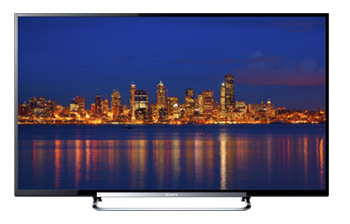 The UB30U line from Sharp presents very good value in a future proofed and reliable package. 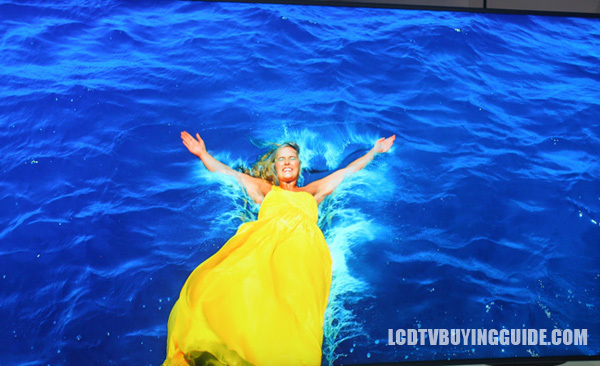 Prices are a compelling part of these new Sharp TVs. 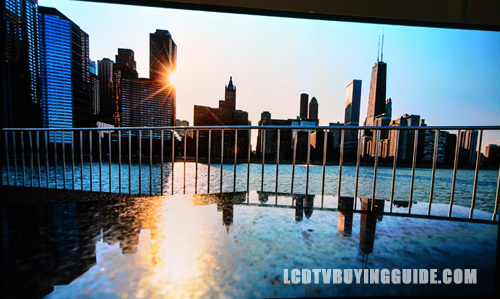 The 55" model retails for under $900. 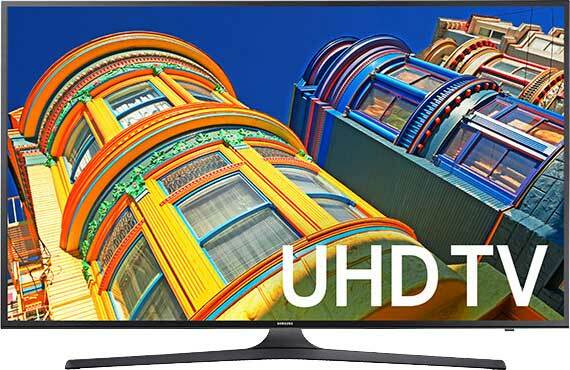 Samsung UN60JU7100 4K TV 60"
Another of our top rated models (value and overall 92/100) for the year, the JU7100 has an impressive assortment of features, an attractive frame, and great light flow through. Colors are also accurate. 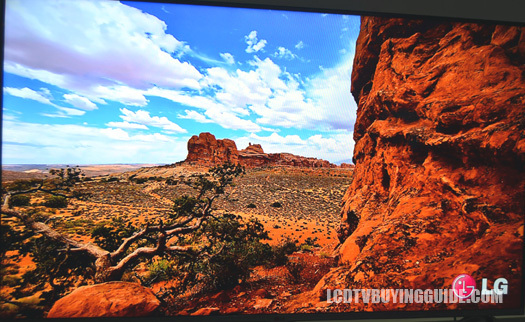 Also see the 65" option, 78", 55" version, all the way down to a 40" size. 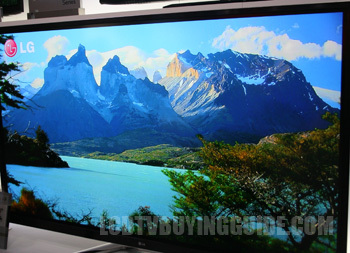 This is one of the best rated 1080p TVs, both from a value and quality perspective for the year. 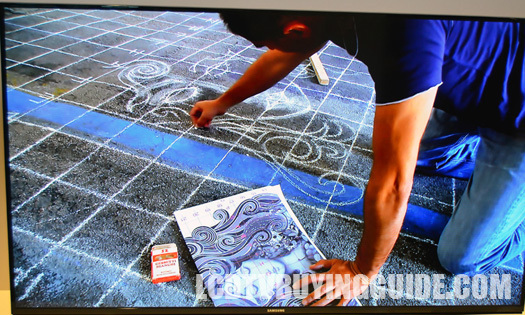 It is available in 5 sizes including the 55" and 65" versions. 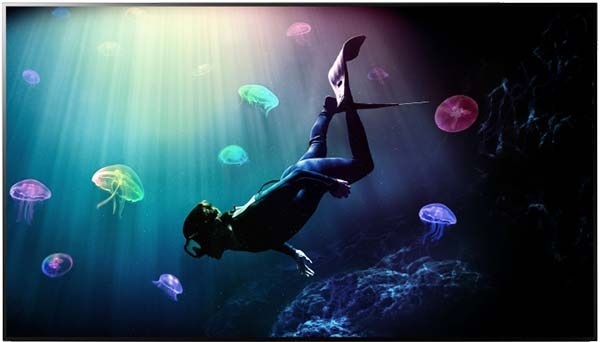 For a great price, bright colorful picture with peak whites, and excellent Smart Roku TV function, look no further than the TCL FS3850 available in 55", 40", and 50" sizes. 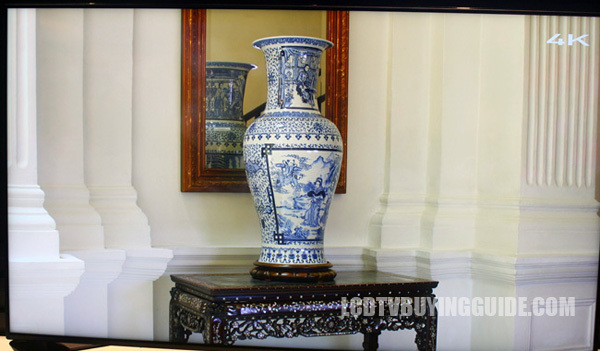 This TV is similar to the FS3850; both are well-priced and are great options for a second or third room or vacation rental TV due to their complete Smart TV options. 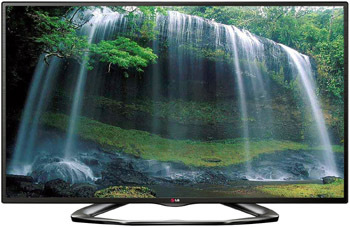 Alternately, try the TCL 32FS3700 if you need something slightly smaller. 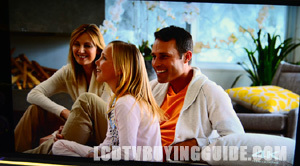 LED TV: Pros and Cons - New! 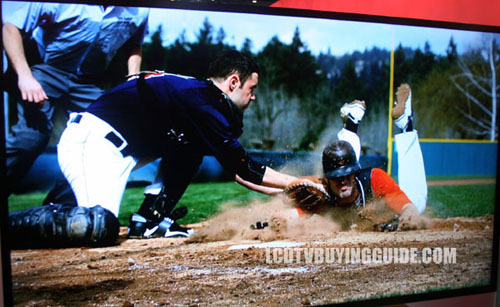 Vizio LCD TV claims may mislead; "America's #1 LCD HDTV Company"? Really? 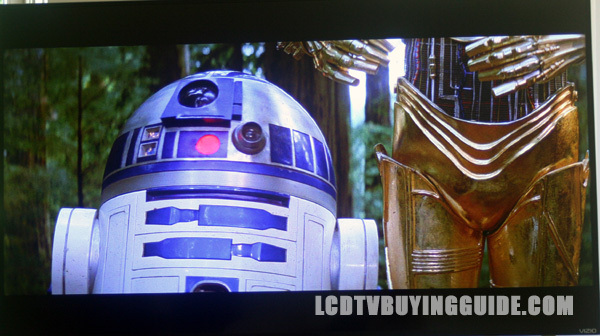 LED TV vs. LCD TV - New! 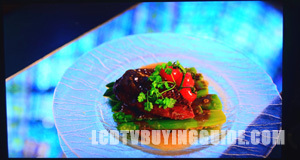 Looking for the Best LCD TV? 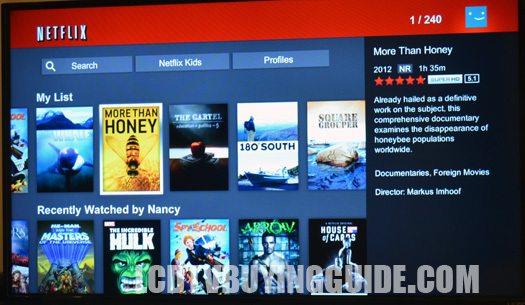 See our recommendations here. - New!